This is the third installment of the AMWN Showcase. Read the first and second installments. Few of us consider the fate of the waste we produce once it passes out of hands and into those of a garbage collection worker. 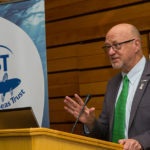 Waste is increasingly becoming a problem that many pay no attention to, and we cannot afford to maintain this “out of sight, out of mind attitude”. We all have the ability to contribute to a solution by making sustainable living choices, and one of the best and simplest actions you can take immediately in your daily life is to recycle. 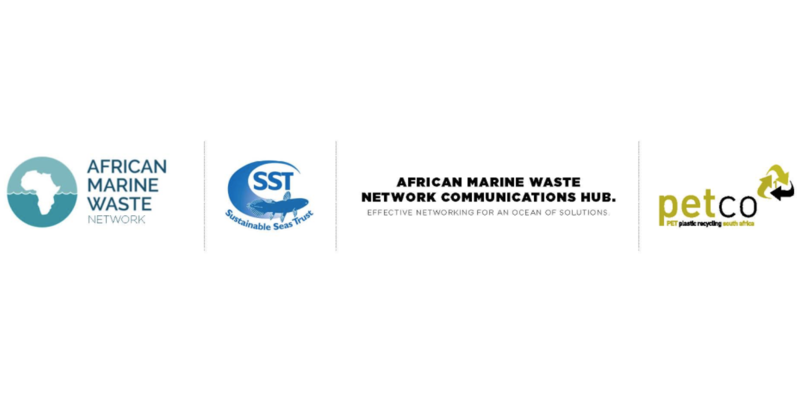 In this two part series, The African Marine Waste Network will show you what actually happens to your recycling once it leaves your home. 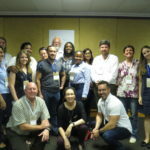 Guided by John Kiser from Plastics SA, we visited the Kraaifontein Integrated Waste Management Facility, the biggest MRF in the Southern Hemisphere, and the first stop for your recycling. 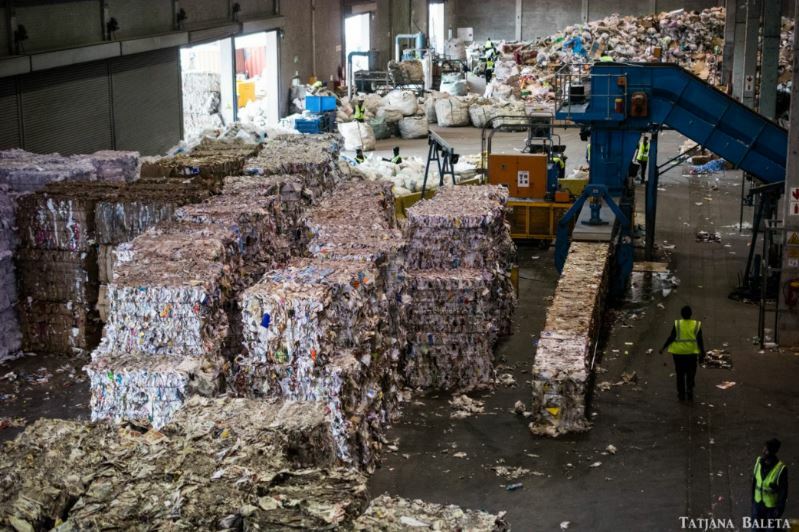 A Material Recovery Facility, or MRF (pronounced “murf”) for short is a special plant that receives waste and sorts and prepares recyclable materials before they are transported to manufacturers. 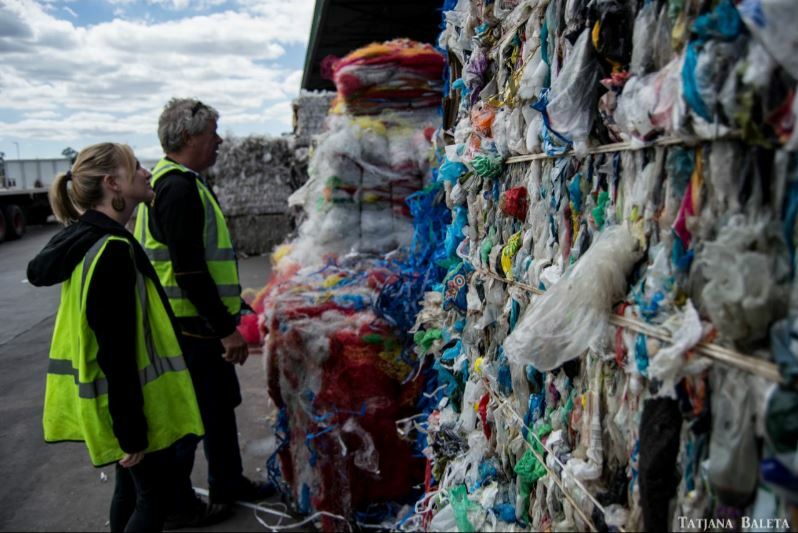 The aim is to minimise the amount of waste reaching landfills. 1. The process starts in your home: households should separate their recyclables by placing them into a clear plastic bag while disposable waste should be put into a black plastic bag. Waste is then collected at source by the municipality and delivered to the MRF by truck. 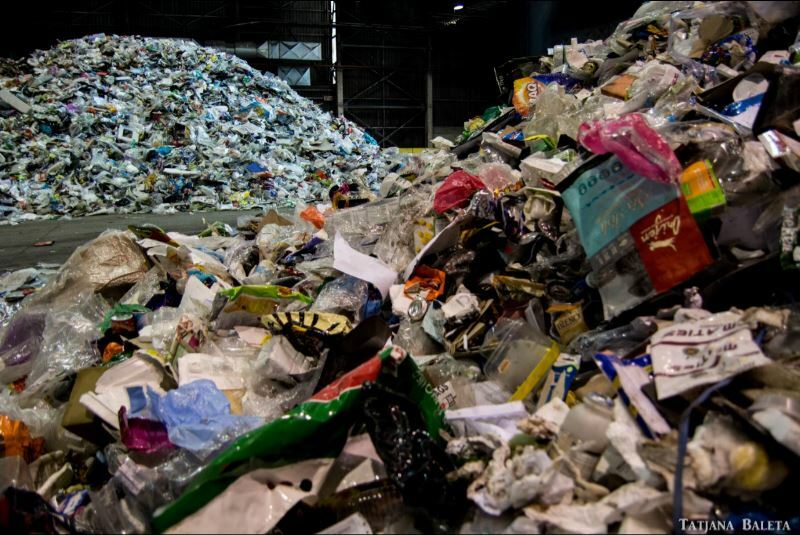 The waste is weighed to ensure that a maximum of 40% of waste leaves for the landfill. Recyclable waste arrives in designated bags. 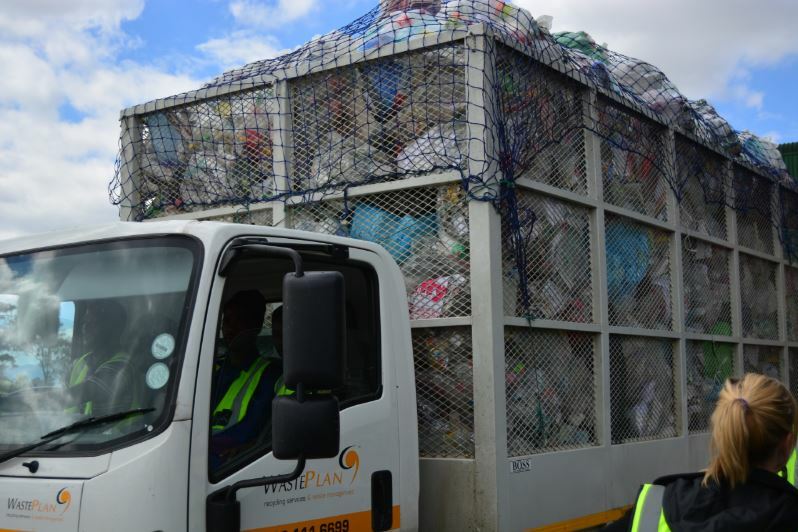 Waste destined for landfill arrives at Kraaifontein. 2. A bag splitter rips open the bag and transfers the material onto a conveyer belt. Waste is then sorted automatically, for example with the use of a magnet that removes metals, or manually, by hand. At Kraaifontein employees manually sort through the waste and remove recyclable materials. Each person is assigned a specific type of waste material to collect. A magnet at the end of the conveyor belt picks up any aluminium cans that were missed. 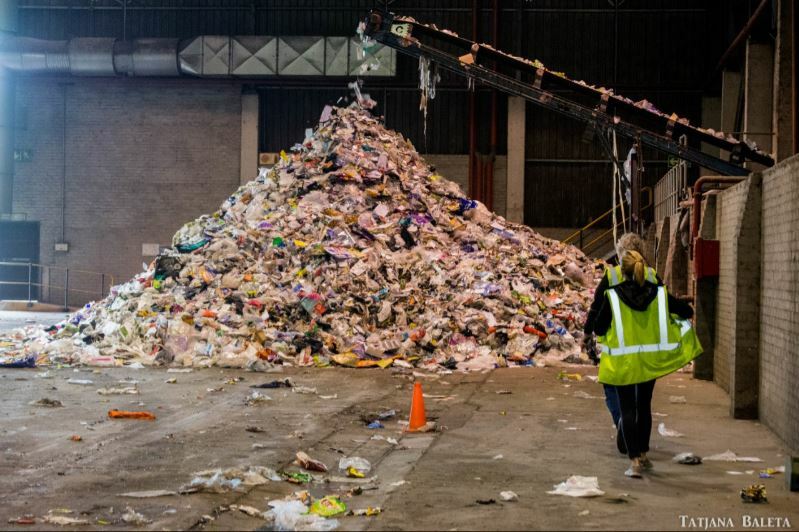 Workers throw bags of recyclables towards to bag splitter. 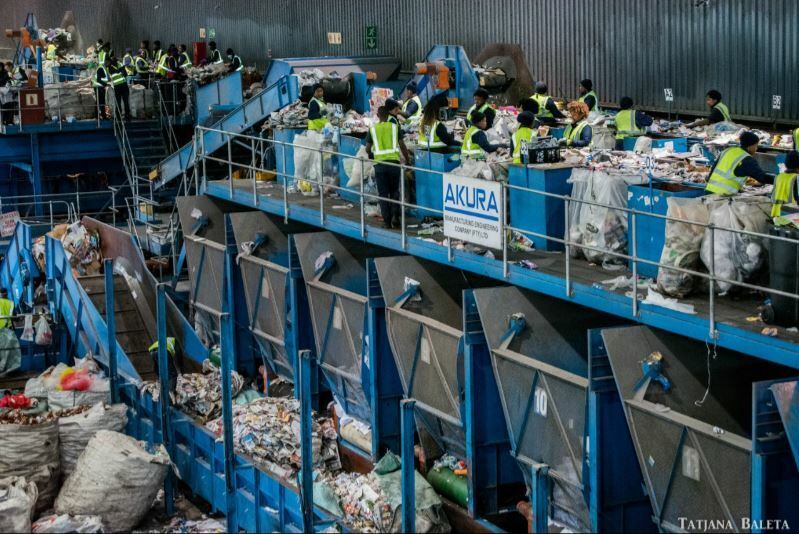 Workers pick out recyclables off a conveyor belt. 3. The hand-picked materials are then placed in containers for bailing. The rest of the material is carried by the conveyor belt into a separate room after which it is transported to the landfill. The conveyor belt carries material into another room. The trash pile from the conveyor belt – destined for landfill. 4. 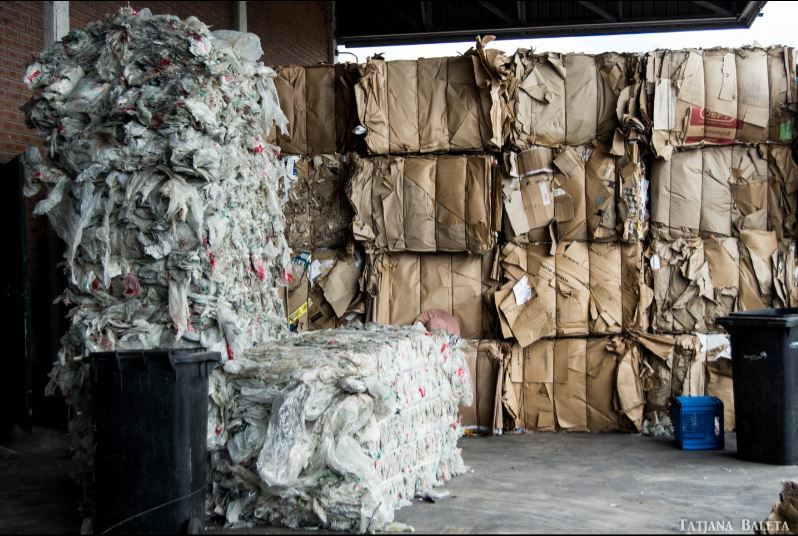 Recyclable materials are processed to reduce transport costs. Cans and bottles are crushed. 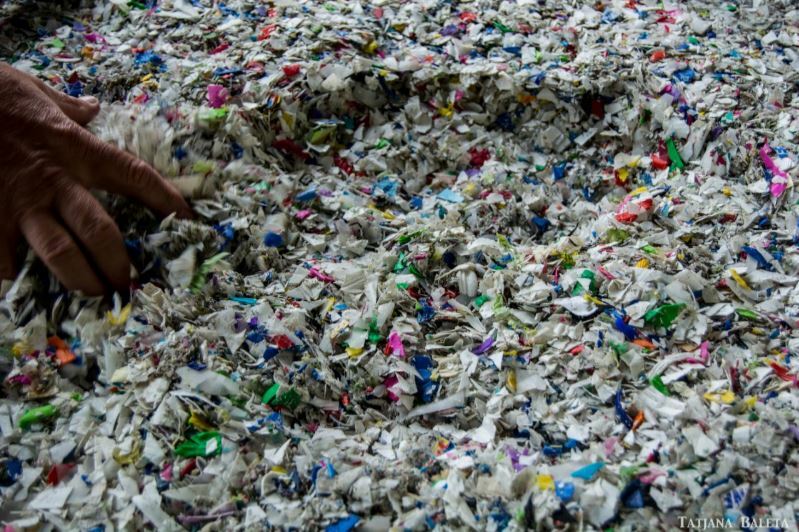 Paper, cardboard and polystyrene is compacted and bailed. Hard plastics are chipped down into smaller pieces. 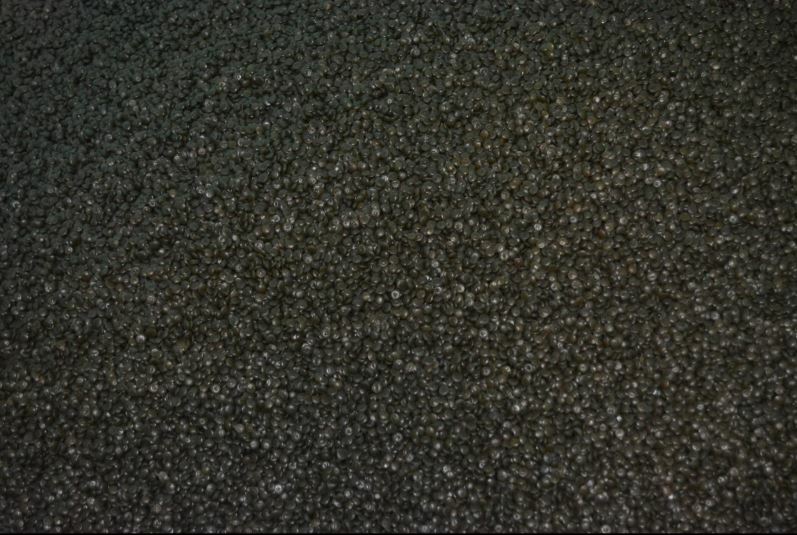 Materials are processed. Clockwise from top left: aluminium cans, white paper, chipped hard plastics, plastic bags and cardboard. 5. Bails and bags of recyclable materials are transported in containers via truck and rail road to converters. If there is no market for the materials in South Africa they are even shipped overseas to manufacturers in other countries. 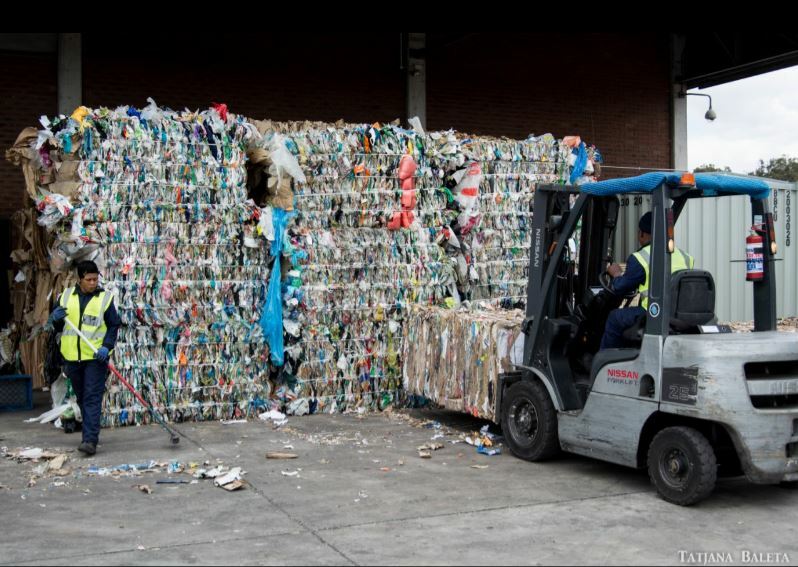 A forklift carries a bale of recyclables into a shipping container. An unfortunate amount of waste is still sent to landfill. You can watch the process in this video taken at a similar MRF (source: Wikipaedia). 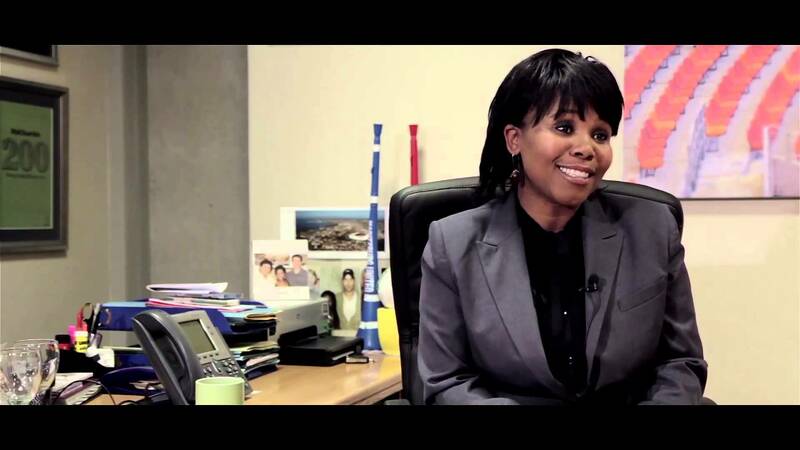 Spanning 15ha, the Kraaifontein plant has the ability to processes 1000 tonnes of waste a day. 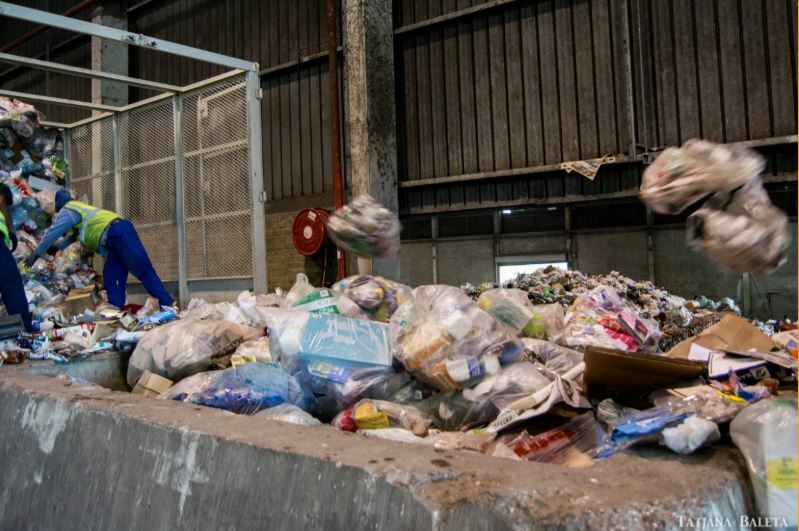 By receiving, sorting and processing waste, Kraaifontein reduces the amount of waste going to landfill and diverts high quality recyclables from a similar fate, instead enabling these valuable materials to be reincorporated into the value chain. 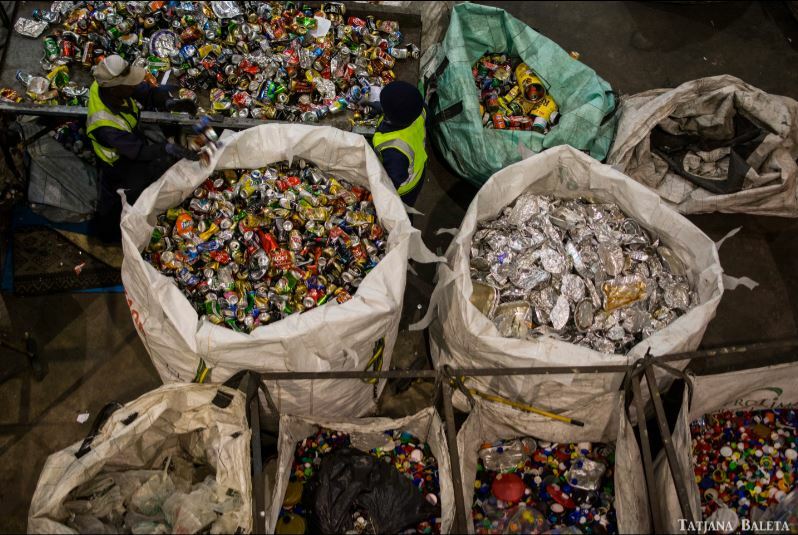 However, recyclables are sometimes missed and sent to landfill as the conveyor belt for sorting is too short. 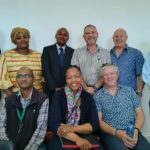 Kraaifontein seeks to remedy this in future with either the development of a new site or the extension of the conveyor belt system. 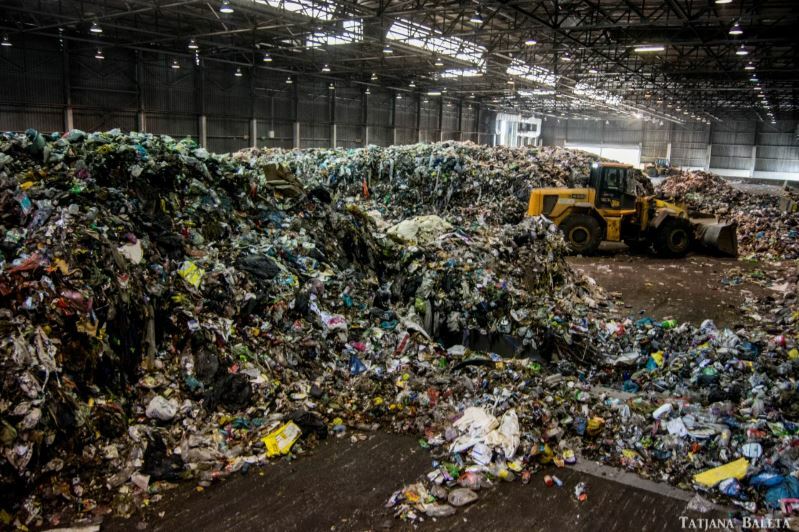 If large organisations can presort their waste before delivery to a MRF, as shopping malls and hotels are increasingly doing in South Africa, fewer recyclables will be unintentionally sent to landfill. Kraaifontein also has a dropoff facility so that anyone can bring their waste in. Make an effort to find out where your nearest recycling dropoff point is and take your recyclables there. Additionally, recycling collection services are becoming increasingly common. 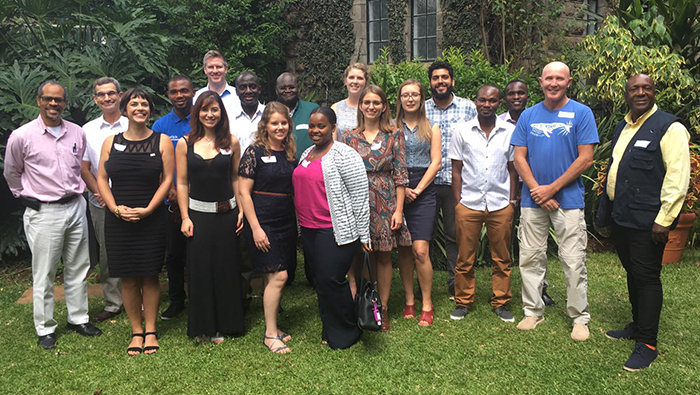 Check out Clearer Conscience (South Africa) and Wecyclers (Nigeria) as examples. 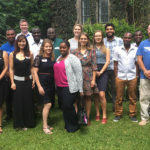 You can read more about MRFs in the AMWN’s upcoming Marine Waste Strategy Document for Africa. What happens next? Stay tuned for the next installment: Converters – how do you turn a recyclable item into a new product?